House Speaker Nancy Pelosi probably remembers when former Democratic Texas Rep. Beto O’Rourke didn’t support her bid for minority leader in 2016, which might be why she can’t recall any of his accomplishments. Pelosi called O’Rourke a “welcome addition” to the field of Democratic contenders vying for the party’s presidential nomination when asked by NBC Thursday if she could name a signature accomplishment of O’Rourke’s. “Beto brought vitality to the Congress. One of the issues in his—I haven’t been asked this question. I just know of his record here. When he came, he came as a real champion for the environment. He got a great deal of support from the environmental community in his district,” Pelosi continued. 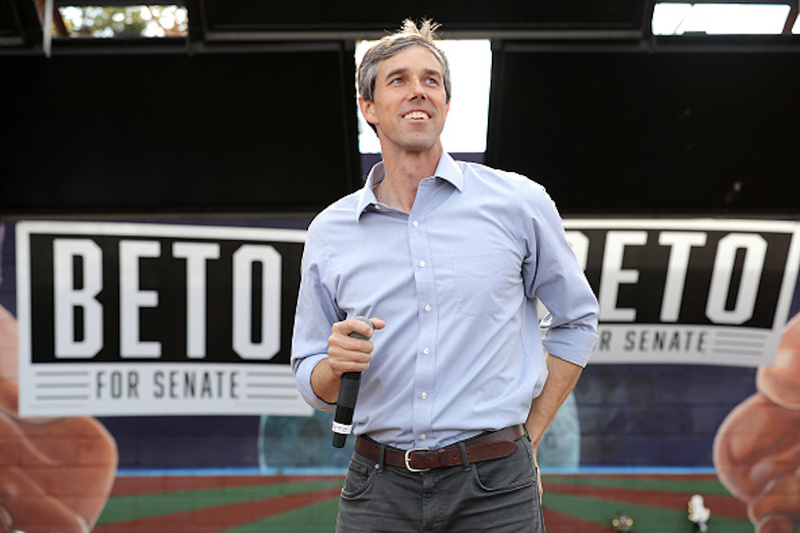 In fact, O’Rourke unseated eight-term Democrat incumbent Silvestre Reyes in 2012 when he was an El Paso City Councilman who ran on a pro-marijuana legalization platform. According to Mother Jones, O’Rourke’s campaign was funded in part by a super-PAC created by Republican Joe Ricketts, the founder of TD Ameritrade. The Reyes campaign went after O’Rourke for many of the issues resurfacing this last week, including DUI and burglary charges, Politico had reported. However, not even endorsements from Barack Obama or Bill Clinton could save Reyes’s campaign. After three years of being a member of Congress, O’Rourke became frustrated with the limitations of being a member in the minority and joined with Democratic Ohio Rep. Tim Ryan and other House Democrats after the 2016 election of Donald Trump to remove Pelosi as minority leader. I am supporting Tim Ryan for minority leader. The best way forward for the Democratic Caucus is to ensure that we are capitalizing on the intellect, passion, talent and experience of every single member. I know that Tim Ryan will listen to and take from all members from every part of the country, to ensure that we incorporate their unique voices, and those of their constituents, as we chart the course ahead. Not only will this help us win more elections, but it will ensure that we better reflect and represent the great country we serve. I am grateful for Nancy Pelosi’s service as House Speaker and as the Democratic leader for the last 14 years. But I believe that for any organization to succeed, there must be change in leadership to ensure that it continues to meet new and evolving opportunities and challenges. It’s one of the reasons that I believe in term limits, and why I support them for every member of Congress. Limiting our term of service, even as Leader of the caucus, shows that we have faith in the ability of others to step up and serve. Although Ryan was unable to defeat Pelosi, he did receive 63 votes of support from his fellow Democrats, according to The Washington Post. Democrats who voted against her cited being in the minority for six years and blamed Pelosi for that, The Post noted. In a 2018 interview, The Wall Street Journal reported he recalled the 2016 vote for minority leader and gloated that he was “glad I have not paid any DCCC dues in a long time,” referring to the Democratic Congressional Campaign Committee. “We’re going to do this independent of the party bosses,” he said. 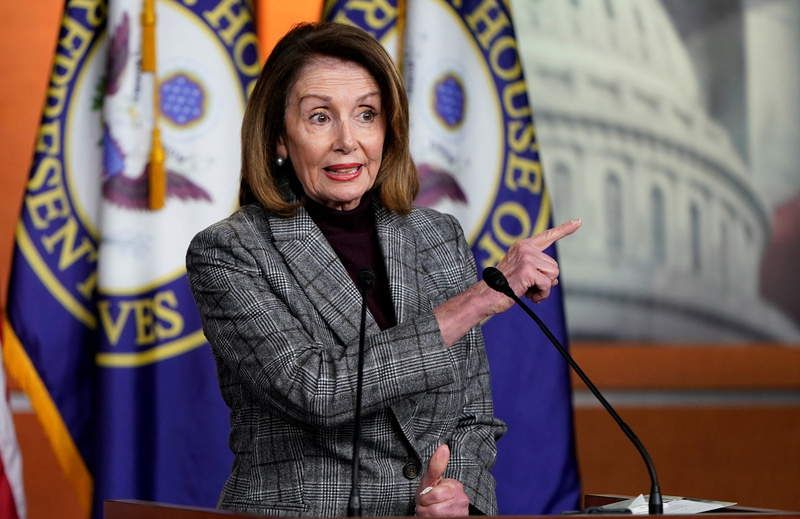 O’Rourke made his critical statements about Pelosi prior to Democrats regaining the House majority and Pelosi taking back the House gavel presumably under the assumption that the California Democrat would not lead the caucus back into the majority in 2018. As a declared presidential candidate for the Democratic Party, he will have to get in line with other primary contenders now and seek out Speaker Pelosi’s support. Hillary Clinton found Pelosi to be elusive in 2008 when she sought out her endorsement for her own presidential run. Although the California Democrat claimed to be neutral during that primary, she reportedly worked behind the scenes to help deliver the nomination to then Illinois Sen. Barack Obama by pressuring super delegates (members of Congress) to support his candidacy at the Democratic convention. Even when Pelosi did endorse Clinton in 2016, she waited right before the critical California primary in early June to do so.